Dior Sauvage *Type Roll-On Body Oil For Men 10ml Free Shipping! 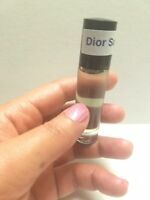 SAUVAGE Dior Type 100% Uncut Pure Perfume Body Oil Roll-on For Men USA SELLER!!! 10ml Christian Dior Sauvage Type Men's Fragrance Body Oil Grade A Roll On NEW!